Mexico is a fascinating country filled with diverse landscapes that range from delicate cloud forests to barren, desert terrain. It’s a tourist haven with white beaches and an azure sea. If you’re looking for a getaway from the harsh winters of Canada or a place to relax from the extended hours of US work culture, all inclusive Mexico resorts are the way to go. After visiting dozens of all inclusive Mexico resorts, these are our favorites to add to your Mexico bucket list. 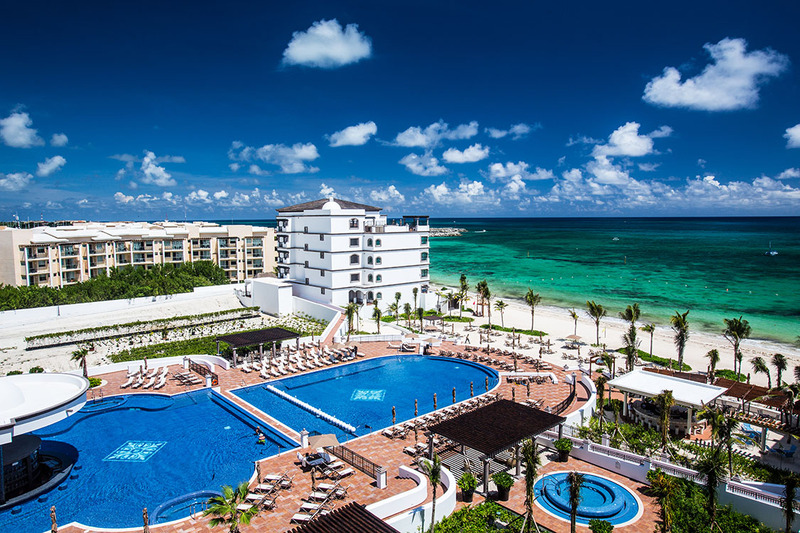 From tranquil hideaways to the exclusive experiences, Grand Residences Riviera Cancun tops the list of all inclusive Mexico resorts. Their suites greet you with an open, airy living room and dining room. The massive, gourmet kitchen offers stainless steal appliances and granite counter-tops. If you’re looking to relax, a full bathroom with hydro-massage tub, rainfall shower, dressing area, and duel vanities awaits. The extensive, private terrace with a gigantic soaking tub will truly blow your mind. The amenities continue outside of the suite as well. Grand Residences offers a private yacht charter that cruises the sparkling Caribbean waters. Also offered, Tequila tasting will teach you about the culture and history of tequila in Mexico. The experiences offered get grander with an opportunity to swim with whale sharks. My favorite unique experience offered by Grand Residences was swimming with the gentle giants of the sea. Everything is done in grand luxury at Grand Residences. There are so many all inclusive resorts in Mexico that it can be difficult to choose the best all inclusive Mexico resorts. Whether you’re old or young or looking for excitement or relaxation, Hard Rock Hotel Cancun is a top pick. The activities program is one unbelievable experience after another. The culinary options are an internationally inspired treat. The suites offer extreme indulgence and the amenities are beyond what you’ll find anywhere else. Insane pool parties, super-star kids’ club, the softest white sand beach, and experiential dining at 9 world-class restaurants, Hard Rock Resort Cancun knows no limits. 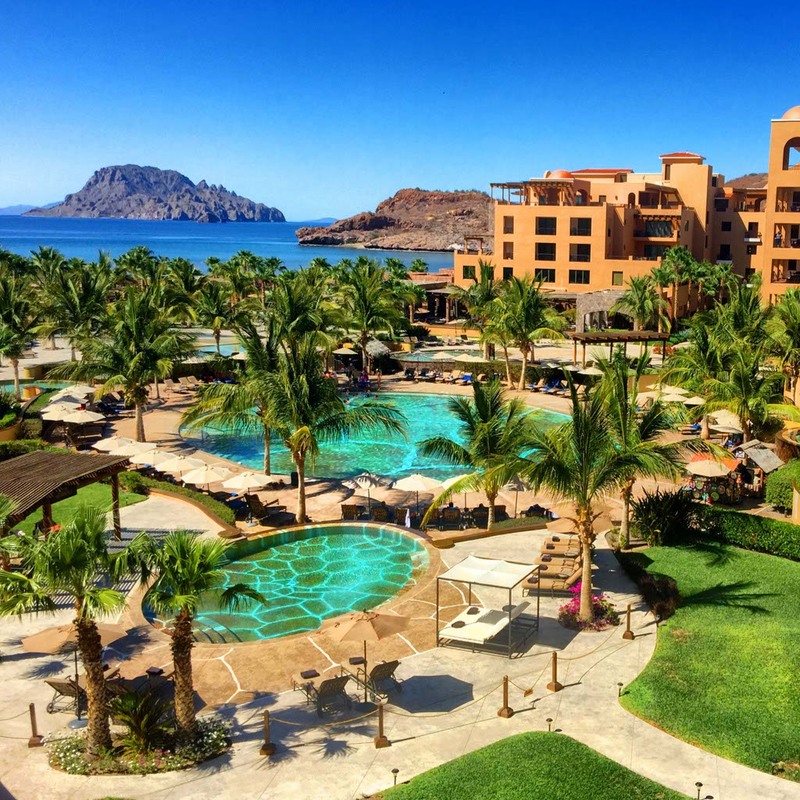 Villa del Palmar is Mexico’s hidden gem and feels worlds away. With gorgeous views of the majestic mountains and the indigo waters of the Sea of Cortez, its worth getting out into nature to experience the beauty. Highlights of the hotel include guided hikes, exercise and meditation classes, the 39,000-square-foot Sabila Spa, boat tours with snorkeling, and tailored meals. 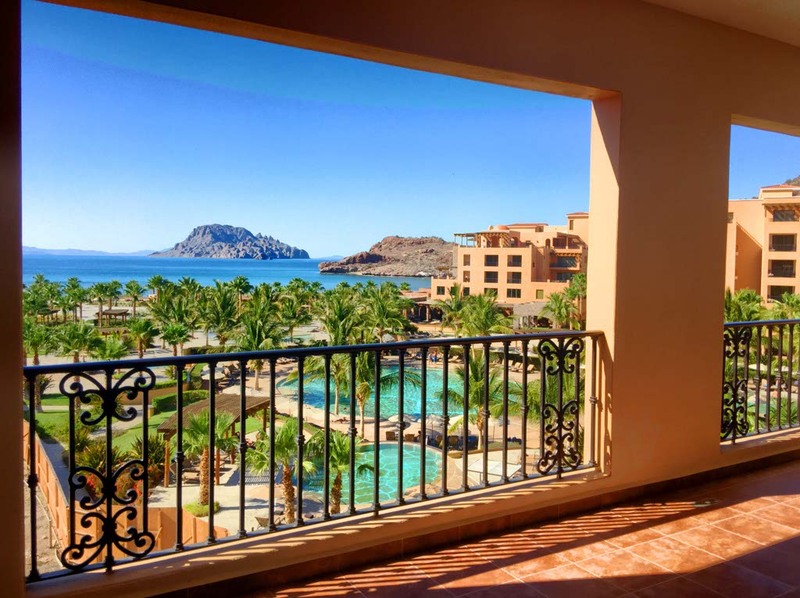 If you’re seeking a place that defines luxury and relaxation, look no further than Villa del Palmar Loreto. Lined with three white sand beaches and nestled between the Caribbean Sea and a beautiful lagoon, Club Med Cancun Yucatan is a stunning property. It includes 60 new beachfront family accommodations, two redesigned and expanded restaurants, a Petit Club Med for children, and a modernized lounge for guests to enjoy a casual ambiance. It offers an extensive array of water and land sports and direct access to the Ancient Mayan wonders. You will enjoy the ultimate Mexican dining experience, a wine cellar, and a resort center including a new main pool and lounge area. For those seeking a luxurious and private retreat, indulge in the Jade 5 Trident luxury space. Sounds absolutely fantastic, right? It’s even better than you can imagine. From the time you drive through the gates at Hard Rock Riviera Maya, you are a rock star! Other all-inclusive hotels should use Hard Rock as a benchmark for hospitality. There are 2 sides to Hard Rock Riviera Maya: the Hacienda side for families and the Heaven side for adults only. World-class dining, spacious pools and a waterslide, a kids club, tennis courts, bicycles, kayaks, and climbing wall, complimentary Wi-Fi and international phone calls, and all rooms with a hammock and private balcony or terrace are a few of the noteworthy amenities at Hard Rock Riviera Maya. The Royal Hideaway Playacar is a member of the Leading Hotels of the World, making it a shoe-in for our all inclusive Mexico resorts worth adding to your bucket list. It features upscale rooms with high-end amenities, a full-service spa with great treatments, several pools, and scrumptious dining options. This adult-only resort claims a spectacular beach, infinite pools, and exquisite suites. 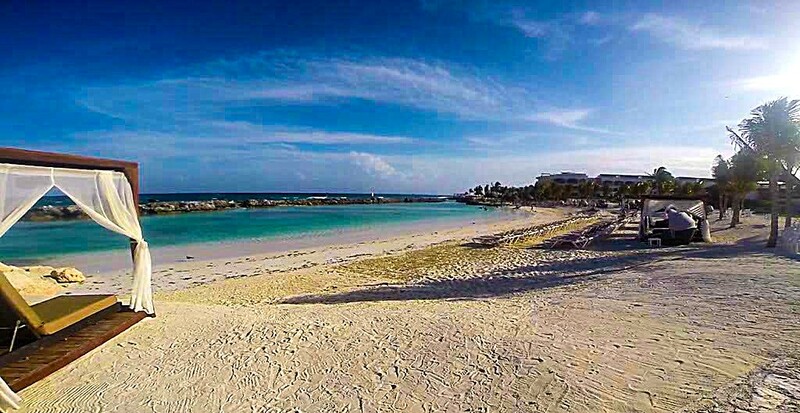 It’s just a 10-minute stroll from Playa del Carmen. If its activities including tennis, sailing, biking, and basketball, cooking classes, and an abundance of pools aren’t sufficient, there’s always city entertainment nearby. Forget resort bracelets, towel vouchers, and limited alcohol choices. Chilled champagne and warm towels upon arrival are the first sign that luxury is a top priority here. Also, order any drink you want from the comfort of one of the pools or give room service a ring for snacks and drinks in your suite. In addition to gorgeous beaches and unrestricted amenities, Royal Hideaway features an over-sized cascading infinity pool and relaxation pools around the property for indulgent sun lounging. In the suites, beds are piled high with creamy gold and brown pillows, closets are walk-in, and the staff seems truly happy to be there. The Royal Hideaway offers the highest degree of resort luxury with exceptional amenities and superior service. What are your favorite all inclusive Mexico resorts? Did we miss any for our bucket list? oh my gosh these places are stunning, and that water looks amazing. It would be so relaxing to go here and take a nice vacation! I’ve never been to Mexico, but this place looks like it’s awesome! Travelling to another country, I would totally do an all inclusive, just to make it easier. I would like to go to all of these right now lol My husband and I have been talking about taking an all inclusive vacation, and these look like excellent options that I need to share with him! My husband and I can’t wait to one day travel to Mexico. I think I would love to do adult only luxury just because it would be so fitting for the two of us. Love the resorts you choose to highlight, especially the last one! I’ve heard a lot of amazing things about Mexico! I would love to go there some day, all exclusive of course! 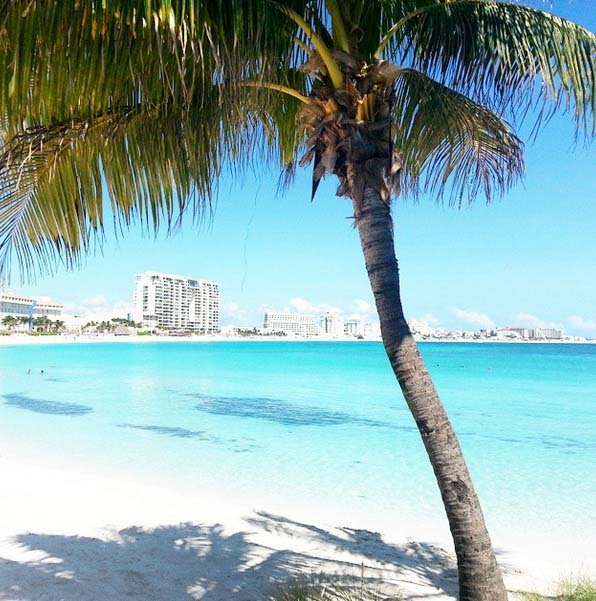 All inclusive resorts are the best when you just want to relax and stay in the area during your vacation! I think these are all very lovely and it would be nice to experience staying in one of them. We adore Mexico. We’ve done Riveria Maya, Cancun, and Cabo San Lucas. 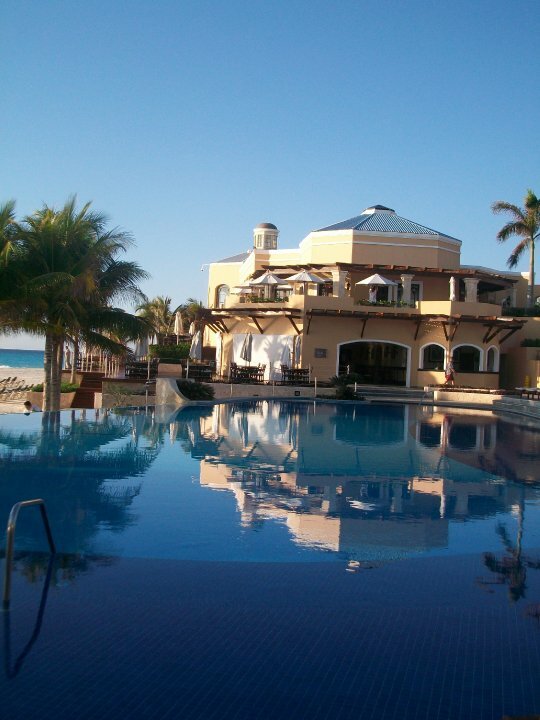 We stayed at a Villa del Palmar in Cabo and it was lovely. I’ve been focusing so much on vacations that involve them parks for the kids and I think it’s about time we planned something in one of these resorts! These are all so stunning and beautiful and have features that you need for a wonderful vacation! I want to go there now! It’s so relaxing and it’s perfect for summer vacations! I am dreaming of a warm weather trip right now. These hotels look like great choices and I love the all inclusive aspect. I think an all inclusive resort sounds amazing. I think part of the pampering of a vacation for me is not having to think about anything, so having it all set up for me would be perfect. Such a great list! My husband and I have been researching all-inclusives for our next vacation, and this is such a helpful resource! Thanks! Wow!! I’ve never been to Mexico, and to be honest, hadn’t really thought about visiting, but the photos in this post make me want to go!! And because I’m in Texas….it wouldn’t be TOO far….right?! Thanks for sharing! I have actually stayed at 2 of these locations and can definitely see why they are on the list! They were awesome. I had a lot of fun, definitely enjoyed the property and would definitely go back to Mexico. What beautiful resorts! I’ve never been to Mexico but I would LOVE to one day. I’d want to stay at the Royal Hideaway Playacar first! So gorgeous! These all look like great options! I grew up spending summer weeks in Rocky Point with my parents and family friends. But as adults, my husband and I have only visited there once. We’d love to plan a getaway to an all inclusive resort! Living in Arizona this makes much more sense for airfare than the caribbean resorts.